Jason Alberich wears the crown of the sovereign of the warlocks, a dark breed that uses darker magic. He wears it well, skillfully wielding a power that would corrupt others. Yet he has paid the price for his control, bearing the scars of a time when his power had control over him. He is haunted by the regrets of a shady past and now lives each day and night with an isolated soul. Chloe Septeran is an Akyri like no other. A member of a race that must depend upon warlocks for sustenance in exchange for servitude, Chloe runs from the dark magic users, choosing instead to live free of their hold. She has existed empty and вЂњhungry,вЂќ but stubbornly free of the warlockвЂ™s dark embrace. 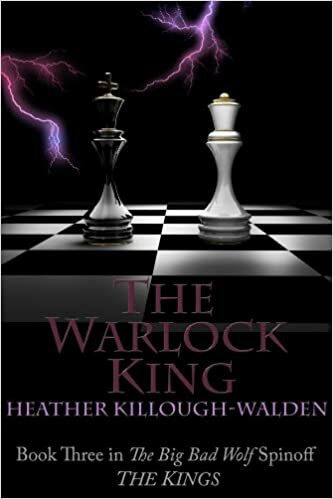 However, now the fates have chosen to bring her running to a halt, as the 13 Kings each discover their queens вЂ“ and the Warlock King discovers his. A mighty power is awakening, wreaking havoc on the supernatural world. The 13 Kings, their queens, the werewolf nation, and the witch covens with their high leader, Lalura Chantelle, must band together and stand strong in the face of a dawning nightmare that threatens the very fabric of all they hold dearвЂ¦ and from which none may escape.